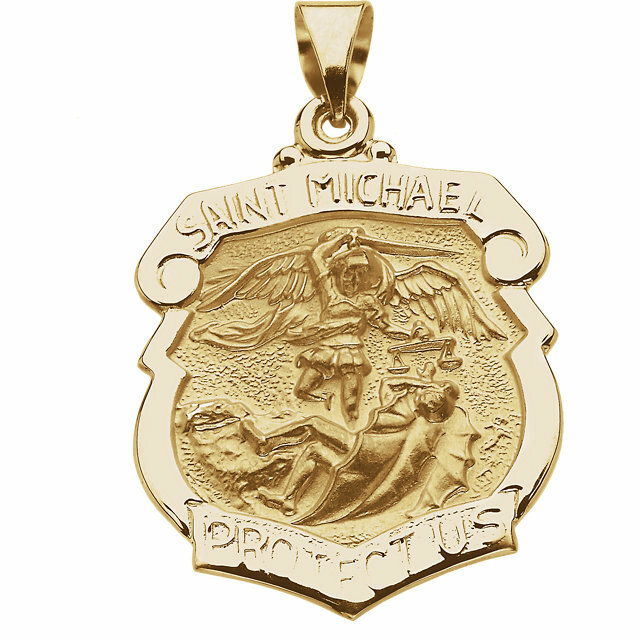 Polished, hollow St Michael shield medal is made of 14kt yellow gold. Item size: 1in x 7/8in. Inscription: SAINT MICHAEL PROTECT US. This medal is the size of a quarter and weighs approximately 1.90 grams. Chain not included. Saint Michael is the patron saint of grocers, mariners, paratroopers, policemen, radiologists, the sick and Germany.